When the Schömer-Haus was opened in 1987, nobody would have guessed that this office and exhibition building would one day become a prominent venue for unusual concerts. Soon after the official opening ceremony, Claudio Abbado visited this place and was so impressed by the architecture and its acoustics that he implored my father to make the house available for new music. Because in contrast to traditional concert halls, with their 19th century sound and space aesthetics, the Schömer-Haus is particularly suited for unconventional forms of presentation of contemporary music, which is increasingly experimenting with the possibilities of space. The Schömer-Haus, however, is anything but a conventional concert hall. There is neither a stage nor fixed seating here; the acoustics contradict all common norms and are reminiscent of a Gothic cathedral. However, the open, three-story hall with the galleries around it makes it possible to position musicians and sound sources around the audience at various heights. In this way music can be staged as a moved and moving sound event in space, as was attempted in San Marco in Venice as early as the 16th century by Andrea and Giovanni Gabrieli. Here, too, an unorthodox architectural arrangement with two opposite galleries became the starting point for compositional experiments. For the first time in musical history “surround sound” was consciously employed. In order to explore the unusual sound space, since 1992 we have given composition commissions to internationally established composers, with the condition of writing a piece specially for the architecture and acoustics of the Schömer-Haus. Twenty works have so far been produced, among others by Friedrich Cerha, Roman Haubenstock-Ramati, Isabel Mundry, Richard Barrett, Pascal Dusapin, Jennifer Walshe, Gerd Kühr, Mark Applebaum and Alessandro Melchiorre. The premières of the commissioned works have always taken place in the context of “Wien modern” and are a fixed component of this important international music festival conceived by Claudio Abbado. This year the commission went to the Argentinian composer Marcelo Toledo, who in Luminous Emptiness staged the Schömer-Haus as a stellar sound space: constellations of the night sky serve as the starting point of a composition in which not just instruments but also the architectural elements of the Schömer-Haus, such as the barred stairways and the wooden handrails of the galleries are brought to life by musicians from the Klangforum Wien. An extremely impressive adaptation of the Schömer-Haus as a three-dimensional sound space came from the pen of the Belgian composer Serge Verstockt,, who in 2006, together with the architect Werner Vandermeersch, created the kinetic sound installation Voder. It consisted of four propeller-driven loudspeakers that rotated over the heads of the audience like little helicopters on wires. A computer software on the floor set the loudspeakers – and thereby also the sounds – moving, and created a chaotic, whirring soundscape. Another highlight came from the Irish composer Jennifer Walshe, who has made a name for herself as an artistic personality full of bizarre fantasy. Her 2007 work My Extensive Relationship with Mr. Steven Patrick M. transformed the Schömer-Haus into a theatre. Cassette recorders dangled from the ceiling and the lifts were worked by musicians who functioned as liftboys. Apart from this, the cage-like stairway and the surrounding galleries were used as sound sources and staged as action spaces. Alongside the annual “Wien Modern” concerts, the three other concerts dedicate themselves primarily to new compositions and current developments that are interpreted by top-class ensembles and musicians. In addition there are also regular concerts with ancient music, for which the cathedral-like acoustics of the house are particularly suited. Especially impressive were the evenings with the Clemencic Consort and the vocal ensemble NOVA, with rarely heard music from Perontin to Dunstable, or a concert by the Arnold Schönberg Choir in which, alongside works by Giacinto Scelsi and Luigi Nono, double-choir motets by Heinrich Schütz were also sung. The surrounding galleries of the Schömer-Haus gave this music a particularly three-dimensional form. 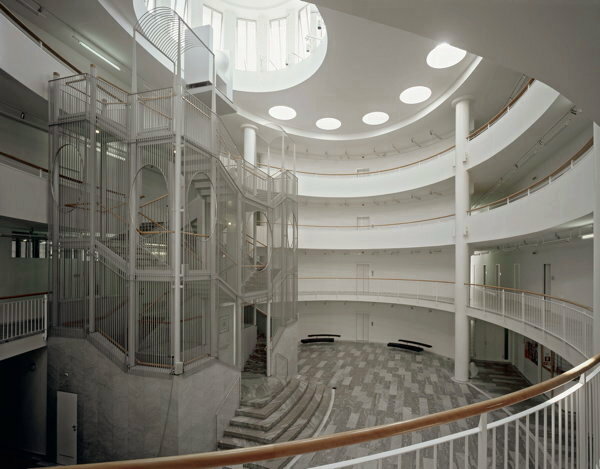 With the establishment of the Essl Museums in 1999 a further house of music opened its doors. Monthly concerts, which, however, have very different orientations, take place in the various galleries and exhibition rooms. 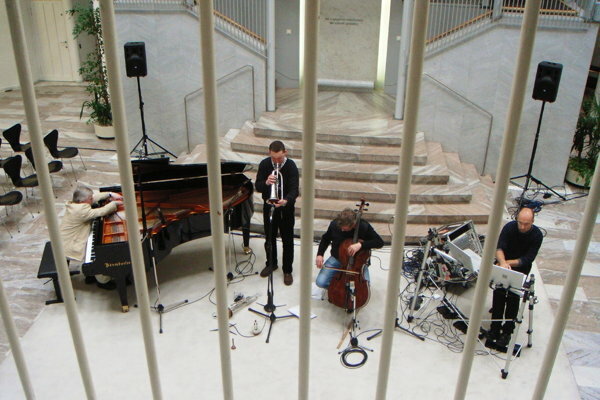 If in the Schömer-Haus it is primarily composed music that is interpreted by established ensembles, the music programme of the Essl Museum is dedicated to boundary-crossing, ephemera and the unpredictable. Electronic music in all its colourful diversity, performances, installations, multimedia and improvisation play an important role here and create a multifaceted terrain that provokes curiosity and provides for surprises. A binding annual motto to which the individual projects relate serves as a programmatic peg. Themes such as NEAR AND FAR, SOUND.RUSH, BACK AND FORTH, UTOPIES, CROSS THE BORDER or OUT OF THE BLUE provide the content or associative framework for which targeted musicians and composers are invited to develop their own projects. 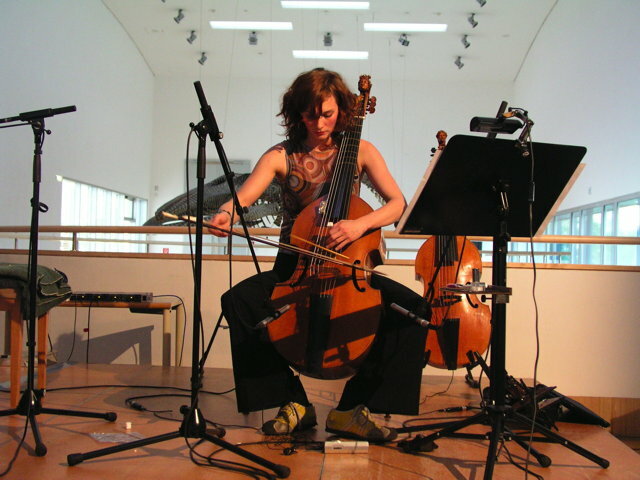 The aesthetic opening that was triggered by the concert series in the Essl Museum had effects on the programme of the Schömer-Haus. 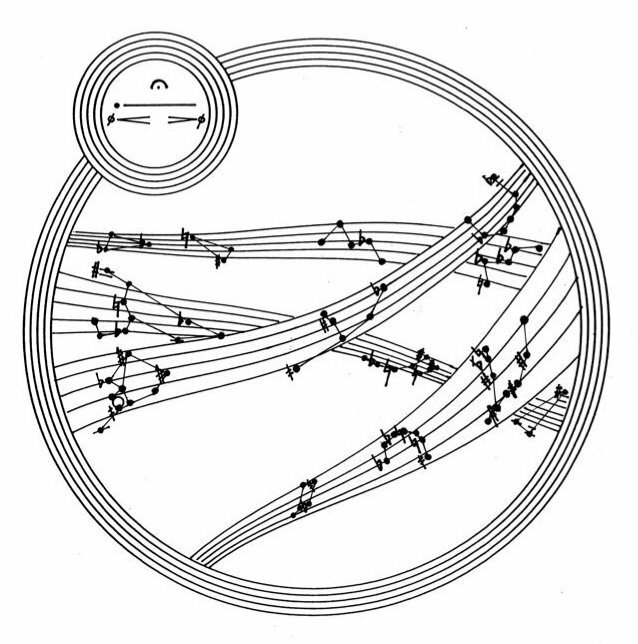 The concert format, which dominated the first two decades, is today increasingly accompanied by the staging of unconventional mixed forms in which music is combined with video projections, sound installations and performances, and not just reproducible works but also open processes with uncertain outcomes. Thus the music programme of the two houses reflects the constantly shifting artistic, social and political changes. I am pleased that our audience follows these developments with interest and enthusiasm. 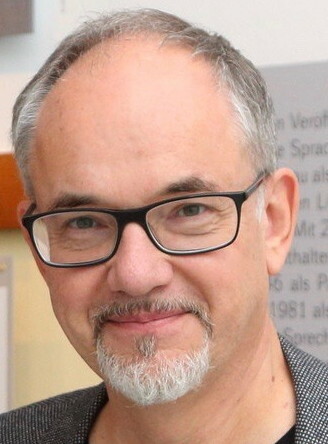 Edition Sammlung Essl: Klosterneuburg 2012, p. 153.